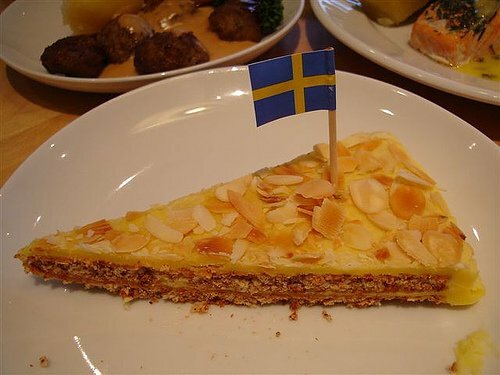 Ikea has decided to withdraw a type of almond cake from its restaurants after samples were found to be contaminated by coliform bacteria. Traces of the bacteria were found in two batches of the cake that came from a Swedish supplier and went through Ikea’s health checks. The cake has been withdrawn from 23 countries, said the furniture company. None of the infected batches had gone on sale, Ikea said. Ikea added that no pathogenic bacteria, such as E coli – which is considered dangerous to humans – had been found in the affected cake. Last month Ikea withdrew meatballs from sale in some of its restaurants after it was suspected they contained traces of horse DNA. The meatballs in 1kg packs were made in Sweden, and labelled as beef and pork. The latest withdrawal comes after Chinese quarantine officials confirmed that 1,872 kg of chocolate almond cake imported by the Swedish company had been destroyed. The Swedish company said there was no health risk associated with consuming the contaminated product. “Traces of coliform bacteria have been found in two isolated production batches of almond cake with chocolate and butterscotch, produced for the Restaurant, from one supplier in Sweden,” said an Ikea statement. “The production batches have, as per safety and quality routines, been tested for bacteria that can cause health issues, such as E coli, and none of these pathogen bacteria have been found. Ikea has stores in 38 countries. The company’s net profits rose 8% to 3.2 billion euros over the 2011-12 financial year. Hugo Chavez undergoing his "most difficult hours"